A german lady, Friederike Irina Bruening, now Sudevi Dasi has been living in Radha Kund, UP, India since 1980. What she has achieved is truly remarkable. Over a period of last 15 years, she has nurtured and cared for neglected & abandon cows in Radha Kund. Today, 350 cows and calves are provided shelter by Sudevi Dasi’s Radha Surabhi Foundation. http://www.goshala.com – Bhaktivedanta Swami Goshala. http://www.love4cow.com – Love 4 Cow Trust. http://www.jayamgoshala.com – Sri Jayam Trust. http://agrohagaushala.com/eng1.html – Shree Vaishnav Agarsain Gaushala. http://www.krishanbalramgooshala.com – Krishan Balram Gooshala Trust. India woke up today (13th Feb 2008) to a headline news report from Times of India, that the number of tigers in India is now approximately only 1400 odd. According to the now famous BRIC Report, India is projected to be one of the Tiger Economies of this century. In India, so many sport clubs, company logos, political parties, emblems proudly depict The Royal Bengal Tiger (Panthera tigris tigris or Panthera tigris bengalensis) as it’s symbol. The tiger is also the national animal of India. Do you want download mp3 music from online mp3 archive,You find where mp3 music download for mp3 player. 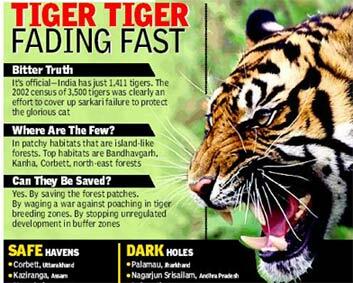 Maybe in the future, India will indeed be a tiger economy ….& what about it’s real Tigers? Gone forever?? But then the usual question that comes to our mind, is what can we city folks do? At most, some of us may donate to some ‘save tiger fund’ or some ‘wildlife fund’, & obtain some income tax benefit in the process, right? Don’t blindly donate to some or any wildlife organization, see to it that your hard earned money reaches the right place where it is required. For any real change to happen, it’s not just financial aid, but Genuine Collective Wish [or Thought, Will or Iccha] of several people for that change to happen. If you have the will & a strong desire, then a way or direction will unfold in front of you. Well, what does this caricature, have to do with Save the Tiger? See on the top of the caricature, it says in aid of Save the Tiger. So, what we have here is a ideal win-win situation for everyone involved. 1) Pay to get a caricature of your self. You can then show it off to all your buddies on Orkut, Facebook, your blogs, etc. yippeee. 2) A guy meticulously in his spare time creates the caricature to your satisfaction. REAL Organization which does REAL WORK for conserving the wildlife especially the tiger population in Central India. Sounds interesting?? what’s more genuine is the sincerity behind the people involved. 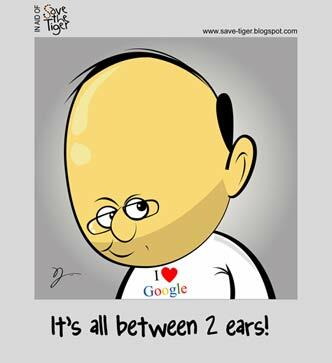 The caricature is created by a Vikram Nandwani, who does this in his spare time as he works full time in IT for TCS. He then donates the proceeds of the caricature income to Satpuda Foundation which is run by Kishore Rithe who has dedicated his life to the conservation of Tiger population in Central India. Here’s Vikram Nandwani’s site: http://save-tiger.blogspot.com on how you can order a caricature for yourself. & here’s Satpuda Foundation’s website : http://www.satpuda.org/ Please see the work being done by Satpuda & do not miss the touching story of a 10 year old who has contributed Rs 15,000 to Satpuda by polishing shoes ! I shall be writing another post on Tigers soon, on what else we can do. Update: The World Bank has embarked on project with several tiger conservation groups and Hollywood celebs to help reverse the dramatic decline of wild tigers. Author prashPosted on February 13, 2008 February 12, 2010 Categories 3 Eco-GreenLeave a comment on Tiger Economy without Tigers! BTW, also found out that the domains GreenGoogle.com & GoogleGreen.com are registered by someone other than Google!